With every new technological development, UX designers must be ready to adapt. Whether you’re an aspiring designer or a seasoned professional, you’ll want to keep abreast of what’s going on in the exciting field of user experience design. With 2019 upon us, it’s time to look ahead at what the year might bring. What will shape the UX landscape in 2019 and beyond? What new trends and talking-points should today’s designers be aware of? Look no further: We’ve compiled, and explained, what we anticipate to be the biggest UX design trends of 2019. We’ve reached a point in time where good UX is an expectation, not a bonus. These days, a frustrating user experience will quickly have consumers going elsewhere—there’s enough choice on the market to not have to put up with clunky interfaces and complex navigation systems! Thus, brands need new ways to stand out: seamless UX coupled with a memorable backstory. Cue storytelling in UX. In 2019 and beyond, UX designers will not only incorporate storytelling principles into the UX process; they’ll also work with brands to design products that actually tell a story. On the subject of UX and the psychology of storytelling, Becca Kennedy, Human Factors Psychologist, explains that “storytelling is a powerful tool for understanding, communicating, and inspiring ‘human-ness’ in UX research and design.” Incorporating storytelling into the user research process, for example, can help you to better understand your target audience. At the same time, UX design can be used to tell the user a story—marking the difference between a pleasant, satisfactory experience and a truly unforgettable one. In a field as broad as user experience design, it’s no wonder that we’re seeing a shift towards specialist job titles. The latest job title that everyone’s talking about is that of the UX writer—and for good reason. Copy is a crucial part of the overall user experience, but all too often is left as an afterthought. The UX writer position ensures there’s a dedicated wordsmith actually in the design team, making sure that the product is designed with a clear and consistent content strategy in mind. So what does a UX writer actually do? UX writers are responsible for writing compelling microcopy. They compose all and any text that appears on a user interface, from CTA buttons and error messages, to form fields and menu titles. It’s important to note that UX writers aren’t the same as marketing copywriters; they’re an integral part of the design team, conducting user research and establishing a voice for the brand. Remember how brands need to start telling a memorable story? Well, microcopy plays a huge part in that, too. All the major players like Facebook, Google and Amazon already have UX writers in their design teams, and we have a feeling that more and more companies will start to follow suit in 2019. It wouldn’t be a trends list if we didn’t talk about voice. The smart speaker industry is predicted to be worth US$7 billion in 2019 (that’s a 63% growth rate from 2018! ), meaning that voice user interface design will continue to be a hot topic in the world of UX. While 72% of people who own voice-activated speakers say it’s part of their daily routine, research has shown that consumers are mainly using their Alexa and Google Home devices for basic functions such as checking the weather and playing music. If you own a smart speaker yourself, you’ll know that there’s still room for improvement when it comes to the user experience. If the voice tech industry is to reach its full potential and really make an impact on people’s lives, UX designers will need to branch out into voice design. 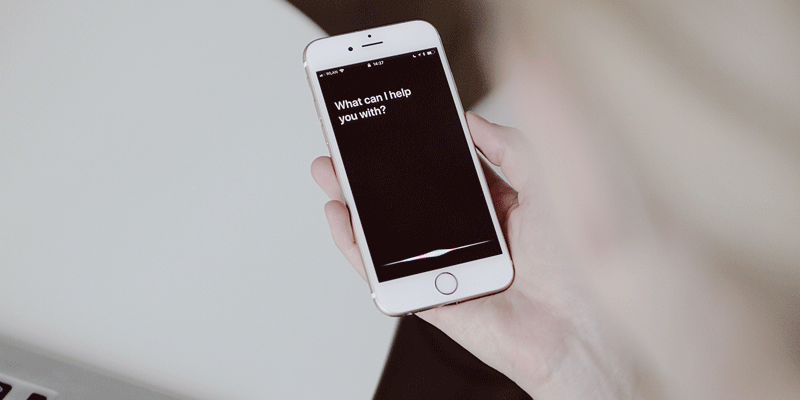 In the coming years, we expect to see more companies looking to hire VUI designers—and more designers adding voice user interface design to their skillset. The rise of voice brings with it a whole new set of challenges in terms of privacy, security, and ethics, so these will also be highly prominent topics in 2019. You can learn more about the voice industry and what a career as a VUI designer entails in this comprehensive guide. It’s time to think beyond mobile-first. The user experiences that will win 2019 are those that are device-agnostic. When it comes to user experience, today’s consumers demand freedom and flexibility. We want to flit easily from smartphone to laptop and back again, perhaps with a voice interaction somewhere in between. Rather than focusing on individual devices, device-agnostic design considers the user journey as a whole. It creates a continuous user journey that can pass through different touchpoints (smartphone, laptop, smart speaker, smart watch…) without any friction. Device-agnostic UX enables the user to pick up where they left off, completing their interaction wherever it’s most convenient at the time. Consider the task of online shopping. You might be scrolling through Instagram when a well-placed advert for a fashion store catches your eye. Intrigued, you click the link to the website and, sure enough, end up adding a few items to your basket. When it comes to making the purchase, however, you switch to your laptop, where the keyboard makes it easier to enter your card details. A few days later, you decide to download the mobile app and check the progress of your order on your smartphone. In order for this whole process to be pain-free, the brand will have designed a device-agnostic experience. As consumer expectations change, so must our approach to UX design. Thus, we’ll see UX focusing less on specific devices and more on holistic user journeys. Today’s browsers are faster and more powerful than ever before—meaning we’re ready to embrace motion design at its best! Motion design breathes life into the digital interface through animation and clever visual effects. Think bouncing logos or spinning graphics while the page is loading. However, motion design is not just about creating a visually-pleasing interface. It is increasingly being used by UX designers to create a more meaningful user experience. When used at the right moment, motion, animations and transitions help to engage the user, aid navigation and usability, and tell a compelling brand story. But how do we know when the moment is “right”? In his UX in Motion Manifesto, motion and usability expert Issara Willenskomer sets out twelve key principles of motion design, explaining when and how each can be used to help guide the user. In 2019 and beyond, UX designers will seek to strike the right balance between static simplicity and engaging interactivity. As a result, we can expect to see some wonderfully unique designs gracing our screens. You’ll find endless motion design inspiration here. It’s set to be another exciting year for UX. With brands seeking new ways to stand out, UX remains critical in engaging the user and making sure their experience is unforgettable—for all the right reasons! Want to be part of this fast-moving industry? Check out our guide on how to become a user experience designer.